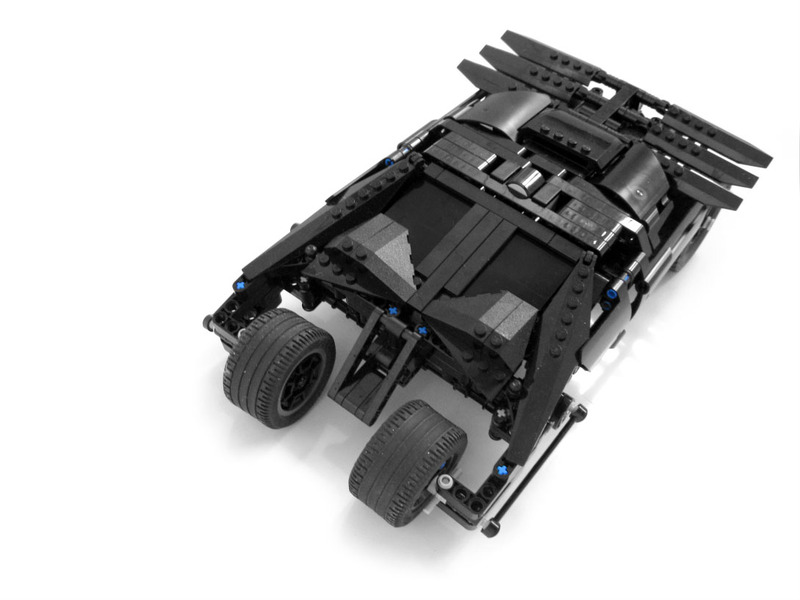 The fellow LEGO Ambassador Peer Kreuger (mahjqa) from LOWLUG, made an awesome TECHNIC version of the Batmobile 'Tumbler'. 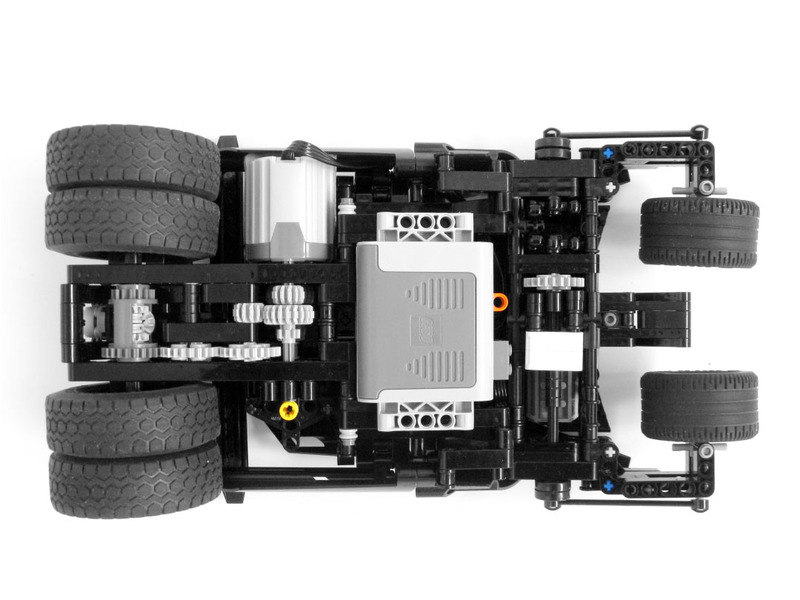 It is powered with LPF elements, remote controlled and features manual 2-speed gearbox, rear axis differential and a functional steering. Nice effect for a picture taken on the bathtub. Funny was the video end, when the Tumbler felt from the stairs after the IR steering got stuck, once the cart went out of the room and IR signal became also out of line sight. Not so funny thought Peer for sure... but as far as I know, no severe damage did happen and it took just some minutes to rebuild it all. The end was so hilarious, that I even thought it was intentional. 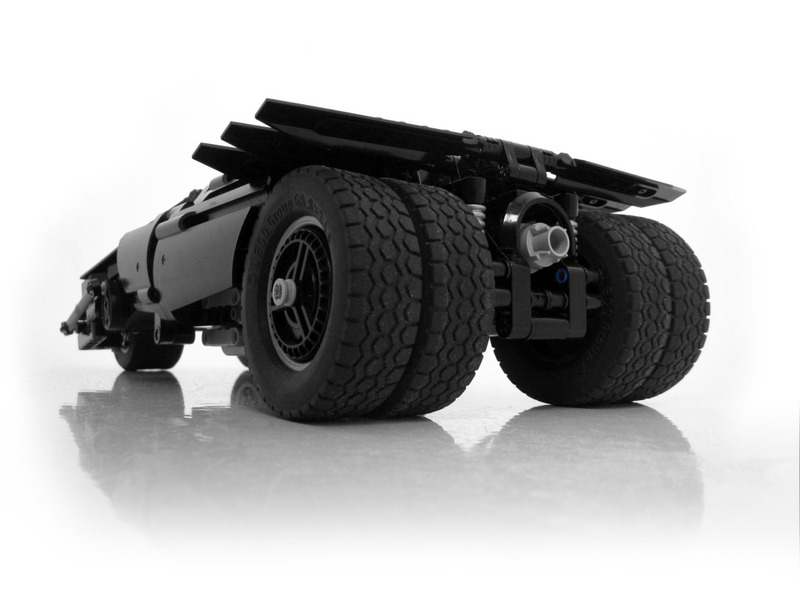 Very nice, is also the solution found to make the front Tumbler wheels to steer. You may find additional photos, at mahjqa's Flickr photostream. In case you'd like to know more about this Batmobile car, originally made for the film 'Batman Begins' (2005), you may also take a look on the video below. Take care and get out the front of the car! That reminds me of my abandoned Tumbler project which failed because of the problems with front suspension. Gosh, I'll have to give it another try!